SUSSED is a community owned cooperative, staffed entirely by volunteers. (Video, click to play) SUSSED Wales is a great social enterprise based in Porthcawl, Wales. 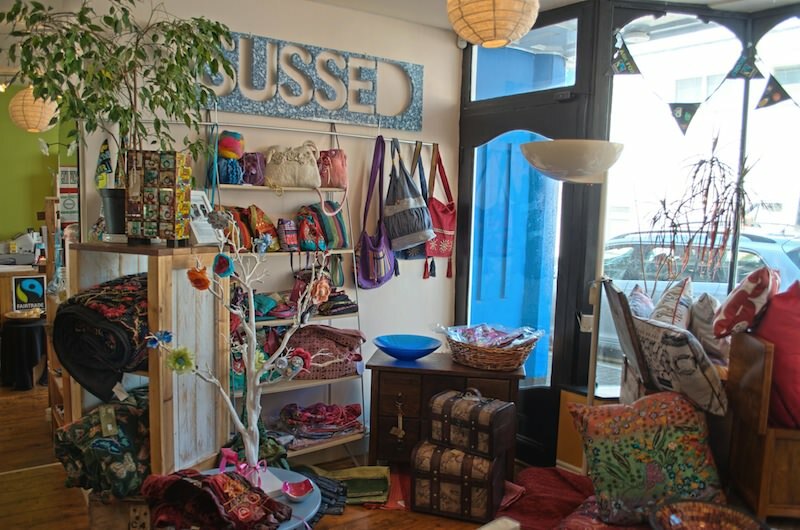 SUSSED specialises in ethical products; specifically, Fairtrade, environmentally-friendly and local goods. 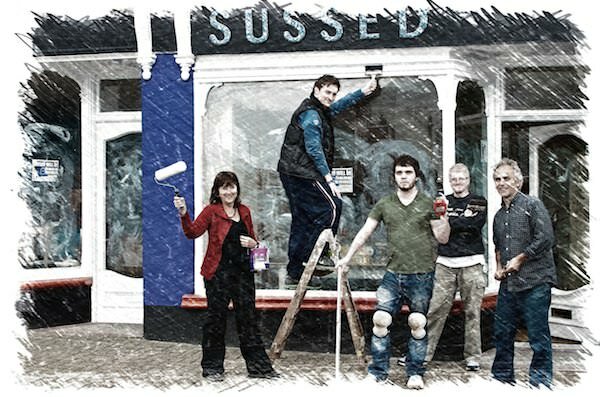 SUSSED was formed by the charity Sustainable Wales in 2006, with which it now shares the same premises in James Street, Porthcawl, Wales. We have a dedicated team of volunteers who work regular shifts in the shop, as well as more occasional volunteers (about 6 - 8) who help out with events, and D.I.Y. Are you interested in volunteering? Find out more! The renovation of our current premises was completed entirely by volunteers. They painted the walls with donated paint, plumbed with donated piping, and one of our volunteers even taught us the basics of wiring electrics. SUSSED also has a developing outreach programme, sending out stalls to schools, churches and to other community events – selling fairly traded products. Our Managing Director, Margaret Minhinnick, is also the chair of the Bridgend Fairtrade Partnership (B.F.P. ), at which many of our volunteers regularly attend. Activities have included ‘Bake-Offs’, Quizs, Wine Tasting, Talks, Street, Church + Event Stalls, involving also members of the public and schools. SUSSED also participates in many Sustainable Wales’ events. Are you concerned about climate change, human trafficking, child labour, poor working conditions? A common denominator is poverty. Do you want to be part of the solution where everybody benefits? Many businesses exist to provide profit for the owners and shareholders – SUSSED, established by Sustainable Wales, is a different business model called a social enterprise. Our aim is to develop a trading relationship which brings dignity, freedom, security and lasting change. We are committed to finding distinctive quality products that make great gifts, accessories or household items, looking out for contemporary designs, innovative use of recycled materials and the way the products are made. Selection is from fairtrade businesses paying fair wages, offering good working conditions. This might include free healthcare for the worker and their family and free or subsidised education and ensure child labour is not used. Our goods are always changing, currently we have a wide selection of bags and aprons made from natural and recycled products, gifts and goodies, men's and women's clothes. Amazing and elaborate embroidery adorns some fantastic table runners and wall hangings, made by people who live in the desert. Our striking quilts and cushions, from raw cotton, use artisan skills of hand block and screen-printing alongside modern power looms. Original local crafts, cushions, small items of upcycled funky furniture and SEREN books also help SUSSED goods stand out from the mass produced offerings available in every city high street.